1st Lt. Thomas Bonna, navigator; 2nd Lt. Paul Le Sieur, co-pilot; 1st Lt. Henry Loser, pilot. Sgt. Ralph Cavaliere, tail gunner. 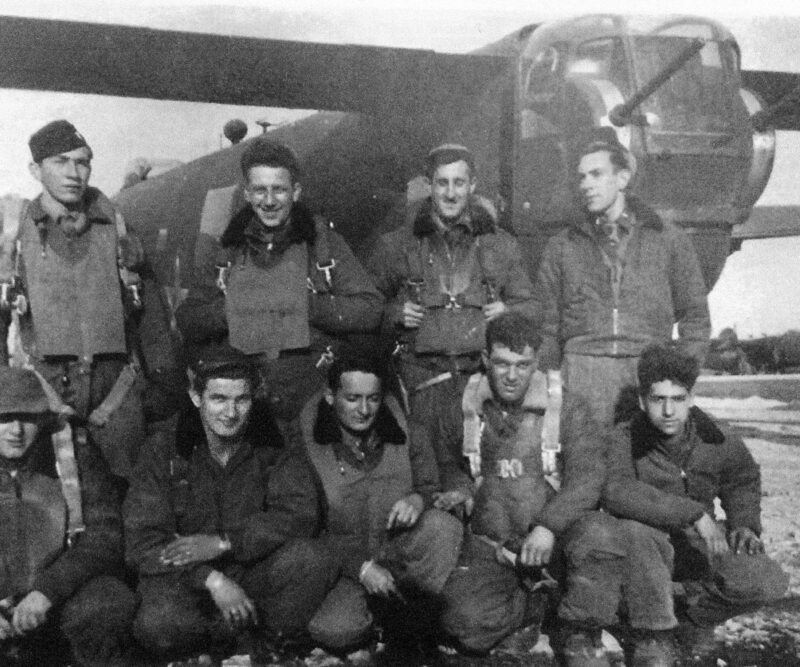 The picture was taken before a day sortie at the hardstand of their B-24 Liberator #670 (X). Rosignano, Italy, April 1945.